i just wanted to send you guys over to meet a new friend of mine. her name is olivia, and she is fantastic. she's been doodling around the uk for the past 4.5 months, and records her lovely life in a webspace called "liv out loud". 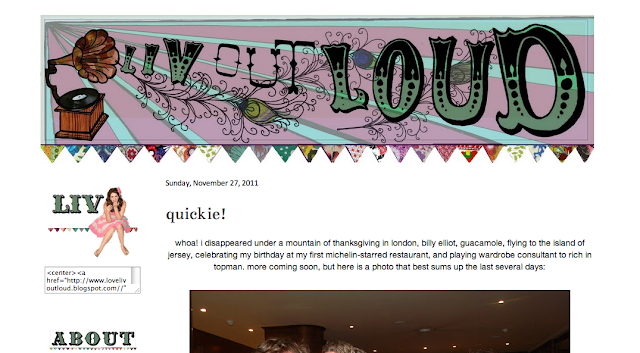 we only "met" recently when she emailed me about a wee blog makeover--you can check it out by clicking on the screen shot! as per usual, feel free to contact me about any doodles you desire. i'm learning much in the way of html and that, plus i just love to draw stuff.